The VRImplant gives the possibility to experience a virtual reality or merge an augmented reality to our real world. In which world would you like to wander? The olfactory element provides a matching odor perception. We already spend a lot of time in an artificial virtual reality, perhaps in the future you can choose to spend more time in the artificial one, than in the real world. Or, with one eye, stay in the VR world all the time. How would our brain adapt? 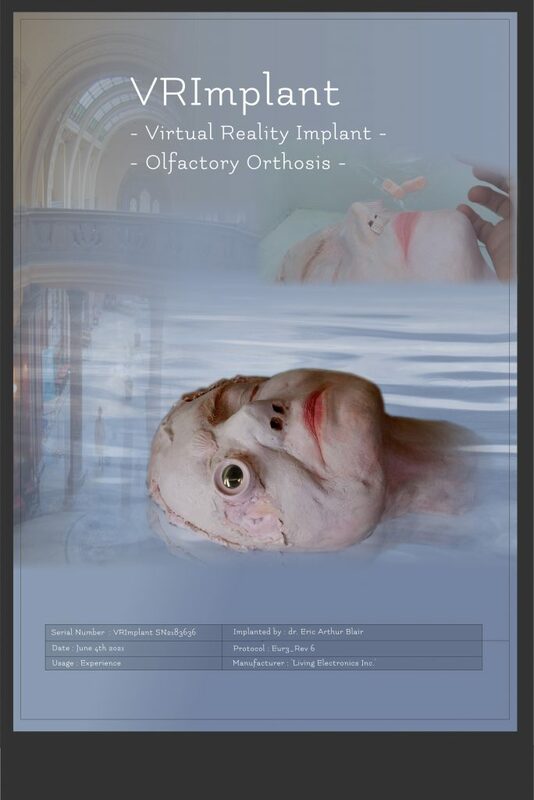 Virtual Reality Implant with matching Olfactory Orthosis. The VRImplant gives the possibility to experience a virtual reality or merge an augmented reality to our real world. The olfactory element provides a matching odor perception.